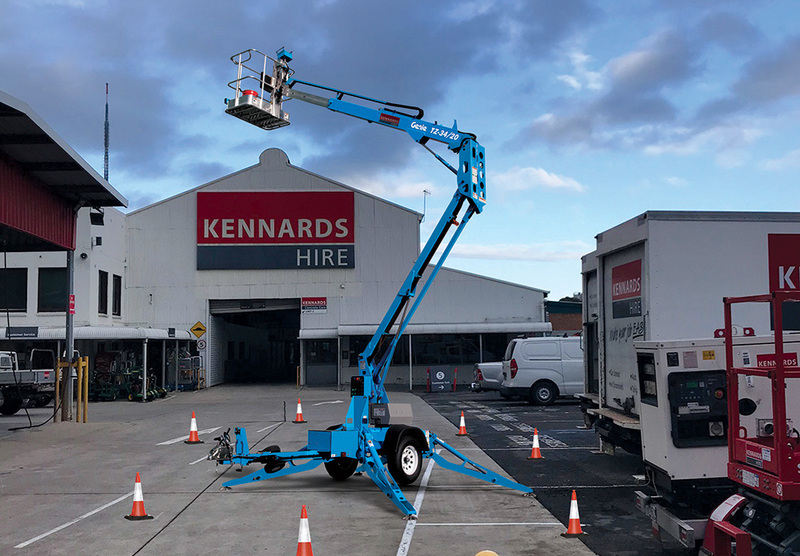 Australia’s number one family-owned supplier of high quality, hire equipment, Kennards Hire has secured seven Genie® TZ™-34/20 trailer-mounted boom lifts, with more orders pending. Kennards Hire has located its latest Genie TZ-34/20 trailer mounted booms at Thomastown and Brooklyn in Victoria. They also have units stationed at its Bundamba and East Brisbane branches in Queensland and in Penrith, St Marys and Artarmon in NSW. The flexibility and user-friendliness of the Genie TZ-34/20 trailer-mounted boom lift, together with its relative short worksite stints makes it a relatively easy machine to maintain. “The ability to service the machine frequently and get it onto worksites easily are central to why the Genie TZ-34/20 trailer-mounted boom lift is one of the best EWPs for return on investment,” said Markwell.